Man has always modelled his inventions on what nature presented to him. This applies to small everyday objects as well as large buildings. A building becomes a heritage when it is even a hundred years old. What about a bridge that has been present for thousands of years? 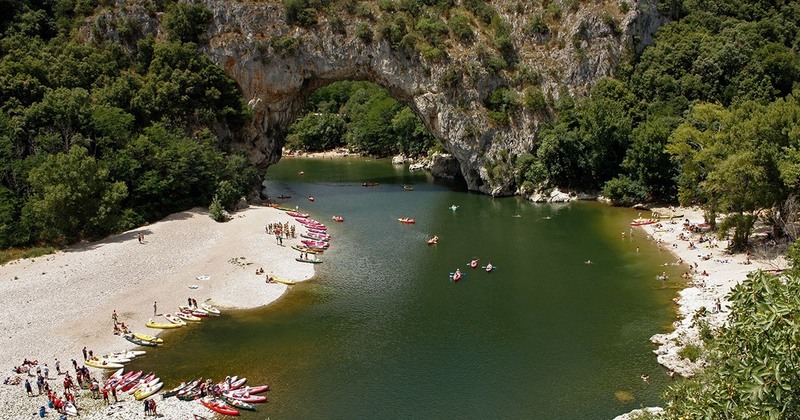 The Arc bridge is a natural arch located in the Ardèche. You will travel five kilometres from the town of Vallon Pont d'Arc if you want to venture there. The bridge is sixty metres long and climbs fifty-four metres above the water. This ark displays thousands of years in front of it. 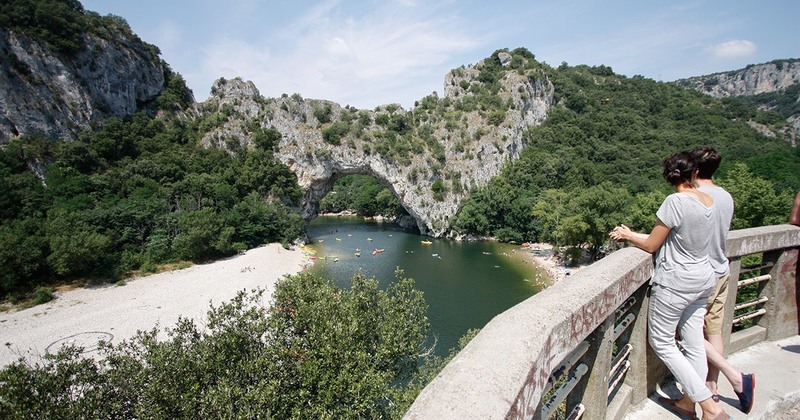 It was formed by the Ardèche river which dug the limestone rock to make a natural vault underneath. 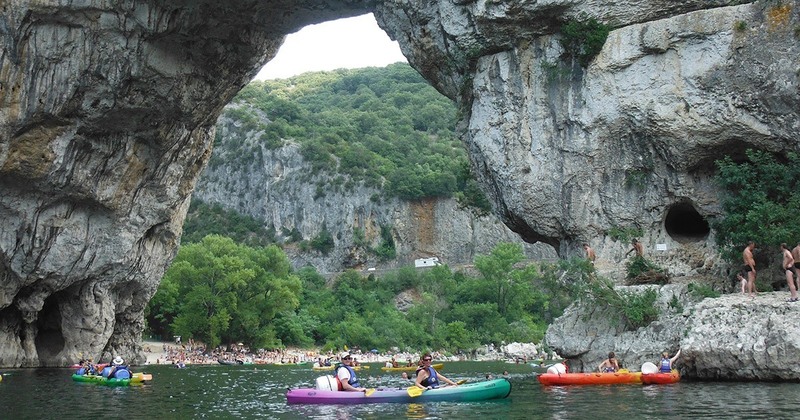 In addition, it is an entrance to the Ardèche gorges. In short, it is an essential place for any visitor, holidaymaker or tourist. This bridge is in itself a pure spectacle. Surrounded by exceptional fauna and flora, it is certain that you will keep an intact memory of the place once your stay is over. This natural arch is not the only attraction of the place. You will have several sites that will arouse your curiosity near the Arc Bridge. You will have the gorges of the Ardèche downstream of the bridge for example. These places are just as suitable for hikers as for canoeists. 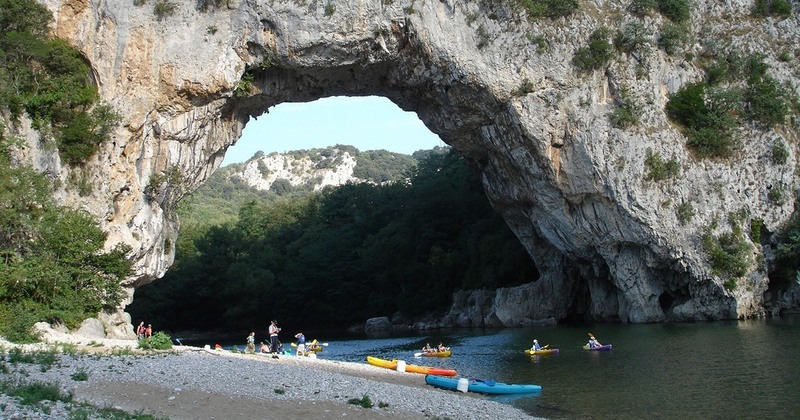 You will then have the Grotte Chauvet-Pont d'Arc after that. This recently discovered cave is a true prehistoric treasure. You will find something to tell your loved ones when you return. In short, the Pont d'Arc does not disappoint the reputation of the Ardèche concerning these many tourist sites. 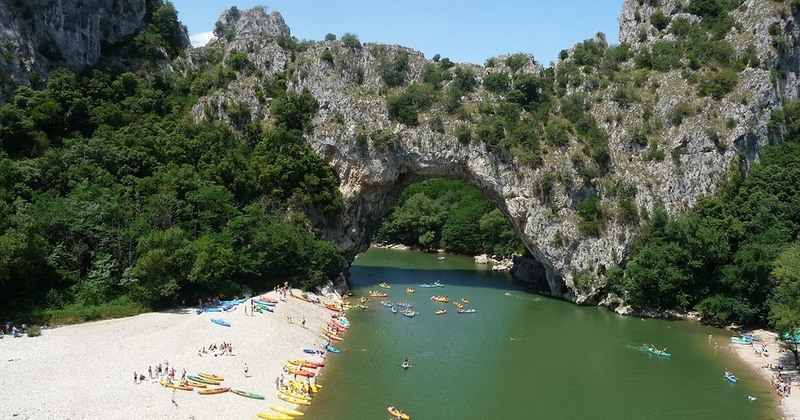 Not to be missed during your stay in camping in Ardèche.